- Weight: 350G/M², Thickness: 0.35mm (±0.02mm). - Size: 2M×1.5M , 2M×2M , 2M×2.5M , 2M×3M , 3M×3M , 3M×4M , 3M×5M , 3M×6M , 4M×4M , 4M×5M , 4M×6M , 4M×7M , 4M×8M. - Application: Widely used in membrane structure parking sheds, container open top boxes, high-bar truck awnings, home garden defenses, etc. - Waterproof on both sides, when the water drops to the surface, it immediately produces a lotus effect, and the water droplets slide down immediately, and the waterproof performance is super good. - The surface is smooth, the transparency is high, the PVC material has strong light transmission, the joint is smooth and beautiful, and it does not leak. - Environmentally friendly material, safe and non-toxic, using environmentally friendly materials, non-toxic, no odor. Soft texture, high toughness, this poncho is highly resistant to tearing and toughness. - High transparency, toughness, tear resistance, environmental protection, anti-aging, easy folding, strong waterproof. 1. After receiving the product, there may be an odor, which can be ventilated and emit odors. 2. The manual measurement of this product is different from the resolution of the computer monitor, There may be some errors in color and size, this is normal phenomenon. 3. 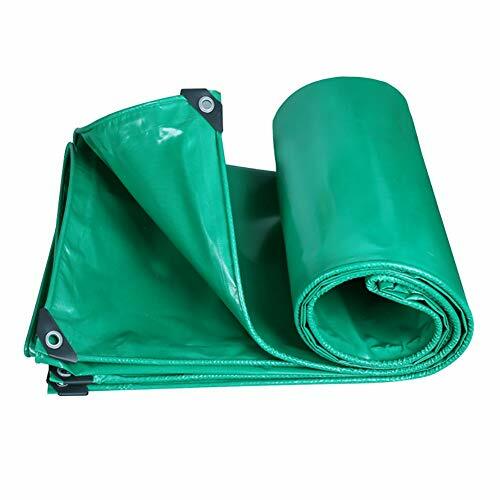 This product is only sold tarpaulin, The actual product is based on the actual product received. ★ Delivery: Delivery time 10-15 days, return range 30 days, If you receive inappropriate or have any questions, please contact us promptly, Support multiple purchases. ★Lotus leaf water repellent, strong waterproof material, strong isolation rain, no water leakage. ★Long-term soaking in rain water will not rot, and it will not oxidize when exposed to air. ★Super wear-resistant durable wear-resistant base fabric, repeated friction, the base fabric is not easy to wear, use more assured. ★Applicable: For vehicles, furniture, wood, outdoor coverings for houses, gardens, camping, etc. ★Note: The rainproof cloth needs to be spliced and covered, and the actual size is a few centimeters of error, which is normal. If you have any questions about this product by Tarp, contact us by completing and submitting the form below. If you are looking for a specif part number, please include it with your message. B&S Air Filter Cartridge With Precleaner For Intek 18-22 Hp V Twin Engines 6.75" X 10"